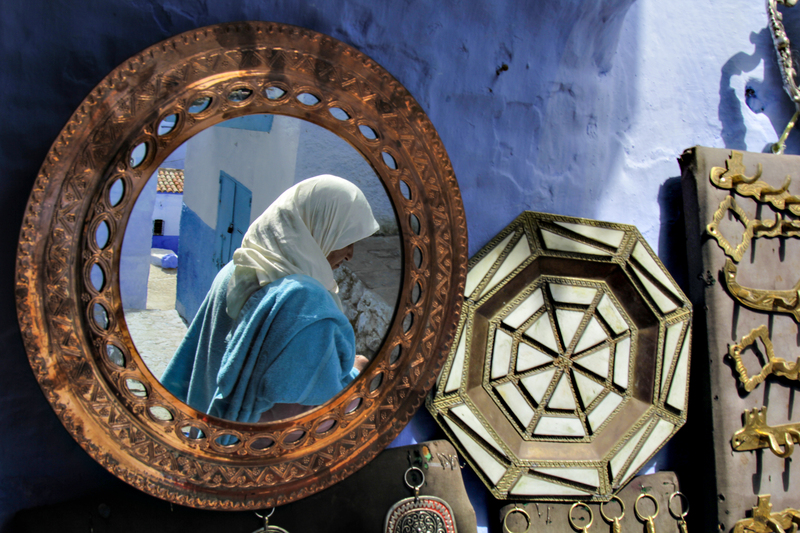 i took this pictures in the blue city of chefchaouene, morocco. i saw this spot with these mirrors outside a street shop and i waited 20/30 minutes for something to happen. as soon as i saw this woman dressed in blue (the same color of the city) walking through the mirror i understood that this was definitely the shot i was looking for. Got questions? Write us now!